My name is Supansa but most people call me Oh. Thankyou very much for visiting my website today. I have been Makeup Artist & Hair Stylist since 1999,gosh that makes me feel old. I also Design Barefoot Bridal Sandals,which are handmade here in Phuket,Thailand,please click on the Facebook link at the bottom of this page. We also offer Airbrush Makeup by Temptu,please drop us a line if you have any questions about our services. 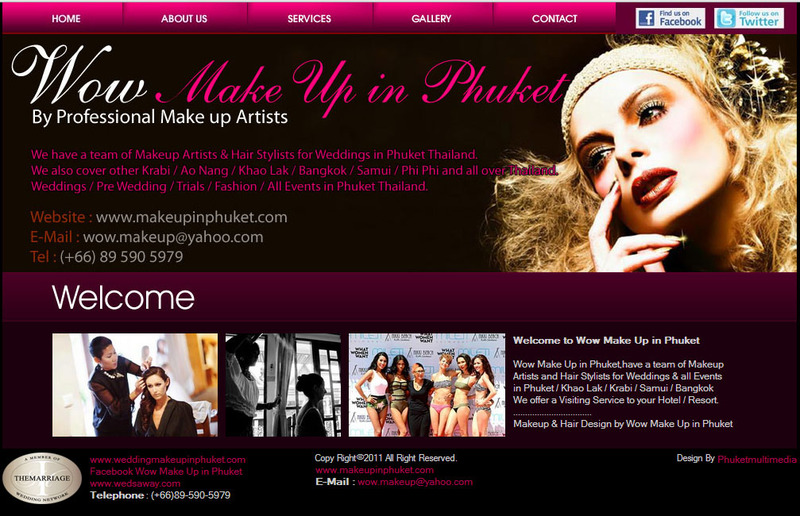 Wow Make Up has a Team of Makeup Artist and Hair Stylists in various locations throughout Thailand,including Phuket,Khao Lak,Bangkok & Krabi. We also love to travel all over Thailand & throughout the rest of South East Asia,recent assignments have taken us to Bali,Hong Kong,Singapore,Malaysia.